Few aspects of running a business are as frustrating as chasing for payments from delinquent customers that then drop off the face of the earth. For businesses that find themselves in this position, a new online company check tool has launched. This free service will help you find out whether a company is still active, has been dissolved, or is in the process of insolvency. You can also spot early signs like an application to the courts for a winding up. Given a company name, the system retrieves the current status of the business from the Companies House register and also queries online resources to look for more up to date information such as corporate insolvency notices. The patented software then analyses the returns before giving a simple summary in plain English. "The online resources for searching company trading status all have a search capability, but we&apos;ve brought everything together into one place. 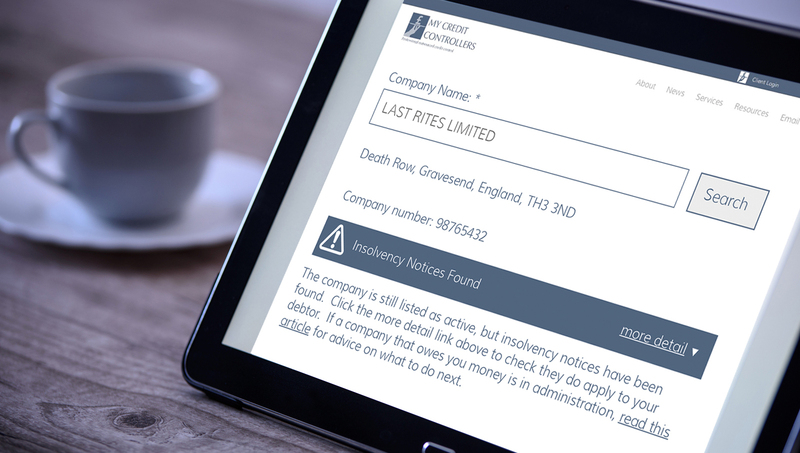 Insolvency notices can be daunting if you&apos;re not familiar with the language used, so our user-friendly interface makes it simple for people to understand what&apos;s going on." "It may not give you the news you were hoping for, but at least if you know that a debtor has entered corporate insolvency you can register your interest with the administrators and move on. Alternatively, if you can confirm that the company is still trading, then you can keep after them or explore other options to collect the debt."